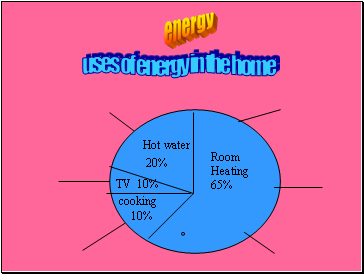 Know that energy is required for heating, lighting and operating appliances. 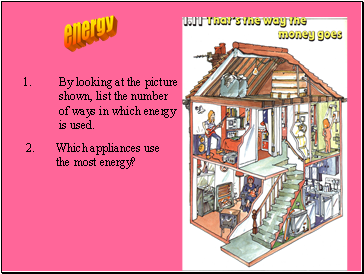 Know that energy can be supplied from electricity,gas oil, or solid fuel. 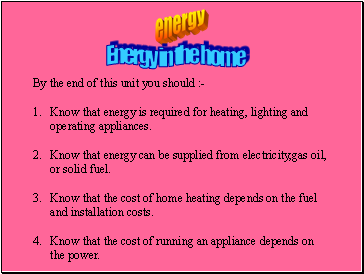 Know that the cost of home heating depends on the fuel and installation costs. Know that the cost of running an appliance depends on the power. 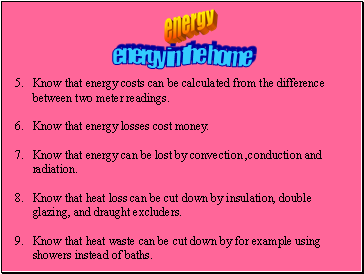 Know that energy losses cost money. Know that energy can be lost by convection ,conduction and radiation. Know that heat loss can be cut down by insulation, double glazing, and draught excluders. Know that heat waste can be cut down by for example using showers instead of baths. 10. 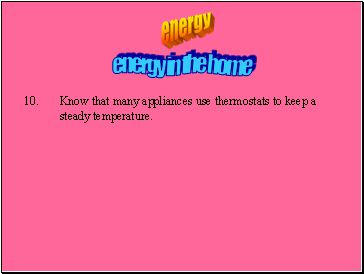 Know that many appliances use thermostats to keep a steady temperature. 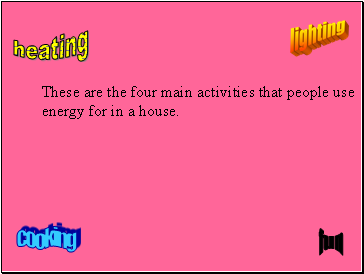 These are the four main activities that people use energy for in a house. 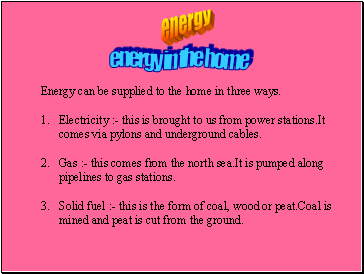 Energy can be supplied to the home in three ways. comes via pylons and underground cables. mined and peat is cut from the ground. 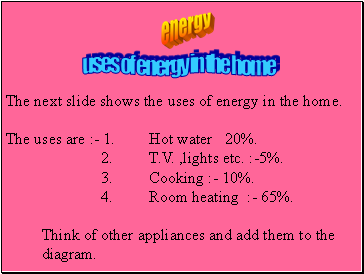 The next slide shows the uses of energy in the home. 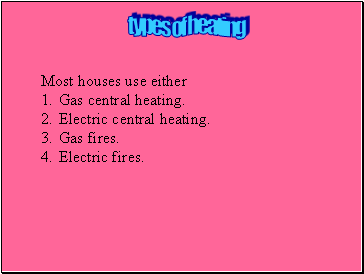 The uses are :- 1. Hot water 20%. 2. T.V. ,lights etc. :-5%.